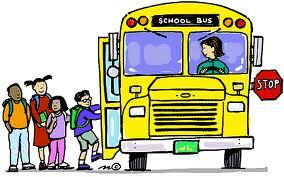 It’s that time of year again…transitioning from summer to school. It can be quite a challenge and stressful for both the parents and the kids. So here are some helpful hints that might make the transition go a little bit smoother. It’s been a summer of staying up late and sleeping in for many kids. Plan a couple of dayst to go to bed at “school night” times and then get up in the morning like you would for a school day and even head up to the bus stop. Maybe a couple of neighbors will do the same so the kids can commiserate. How many times have you been searching for a compass or colored pencils at homework time? Buy extras of all of the consumable school supplies (colored pencils, markers, crayons, ruler, protractor, erasers and paper). Organize them in an old milk crate. 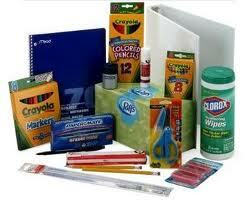 You can even fill the homework box with usuable supplies left from last year. During the first days of school, kids come home with lots of papers that may need your attention. Designate an “in box”. It can be a real office box or even a shoe box. When it’s time to review what papers they have brough home, you’ll be able to find them all in one place. 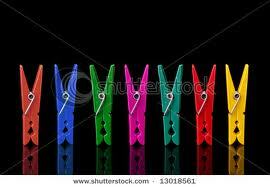 If your child is always forgetting something, make a forget-me-not clothespin. Just attach a small pad of post-its on a clip clothespin. Write a reminder on the post-it pad (lunch, gym clothes, homework assignments) and clip the clothespin to their backpack. They’ll have to unclip it and will be reminded! Back to school is exciting but stressful time. Here’s to a succssful year for all the kids!